Efforts to achieve maximum efficiency from the Port of Melbourne container logistics chain have taken another step forward with the release of a major discussion paper on current problems and possible future remedies. The Victorian Freight and Logistics Council this week published the distilled findings of the first stage of its Truck Optimisation Plan (TOP), a Port of Melbourne Corporation-funded project designed to have industry drive efforts to manage truck traffic in and around the port in the face of an expected doubling of freight volumes by 2020. VFLC chairman John Begley said projected trade growth, combined with urban freight deliveries, would generate significant growth in vehicle movements through the port precinct, impacting in turn on container terminal capacity and overall port efficiency. The project work, which is being undertaken by a TOP steering committee of the Council’s Freight Intermodal Efficiency Group (FIEG), was prompted by raw figures that measured container haulage truck slot use in the port precinct and linked hinterland, with two-way loading at 40%. These figures seemed at odds with Australia’s road transport industry’s reputation as amongst the most efficient. The VFLC, in conjunction with the Victorian Transport Association and Roy Morgan Research, surveyed metropolitan and country-based port carriers about their business patterns and practices, and undertook four detailed representative case studies and face-to-face industry workshops. What has been revealed is a complex situation that will require concerted and co-ordinated industry action and possible State government leadership. The key finding is that, to a large extent, road carriers are balancing their operations between two strictly controlled environments – the port terminal and the customer delivery windows. “Each node manager and supplier is searching for internal efficiencies, often at the expense of other parts of the supply chain, or frequently, at the expense of the public infrastructure and public environment,” the VFLC’s TOP options paper says. These major carriers are investing heavily in depots, equipment and customer service, commonly staging containers through transit depots to gain efficiencies and offering a range of value-added logistics and storage solutions. The TOP discussion paper deals with seven major challenges affecting truck utilisation and canvases options for improvement. Issues of empty container park arrangements and operating hours, vehicle booking systems, container terminal interface, customer flexibility, co-operation between transport operators, labour supply and regulation will be now be further refined with the port community, peak bodies, freight customers and government agencies to ascertain which are the most feasible options and which have a perceived commercial benefit. After detailed analysis the FIEG will develop a business case for implementation and the recommended Truck Optimisation Plan will be presented to industry and government. “The VFLC has a strong interest in industry-led solutions, supported where necessary by government policy and regulatory settings,” Mr Begley said. “Industry-led solutions are most likely to bring about sustained change in business behaviours and deliver outcomes that are effective as well as cost-efficient. “We recognise that change takes time and businesses need to carefully consider changes that have impacts on their assets, operations and investments,” he said. Copies of the TRUCK OPTIMISATION PLAN: Options Paper can be obtained from the VFLC website at www.vflc.com.au. Individuals, businesses and organisations are invited to make a submission outlining their views, and this can be done using the appropriate form also available on the website. TOP is a two-stage project modelled on the VFLC’s very successful Business Activity Harmonisation Study, in which the experience and expertise of supply chain members was very successfully mined to address long-standing frustrations in a practical and co-operative manner. 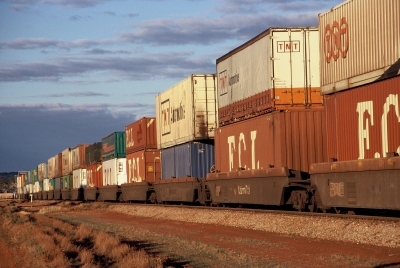 The Victorian Freight and Logistics Council is an independent industry advisory body that provides advice to government on the development, planning, regulation and operation of freight and logistics transport, infrastructure and services in Victoria.